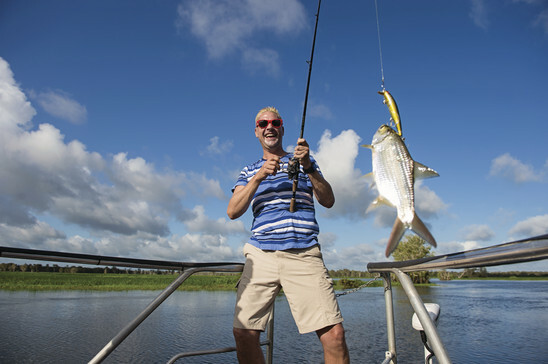 Try your hand at fishing yellow water billabong and catch a Barramundi while enjoying the beautiful scenery and wildlife. And if you end up catching a fair sized fish, you can choose to bring it back for dinner, or return it to the billabong to fight another day. Private fishing charters available upon request all year round. The tour is suitable for ages 8+ and a maximum of four passengers per trip. 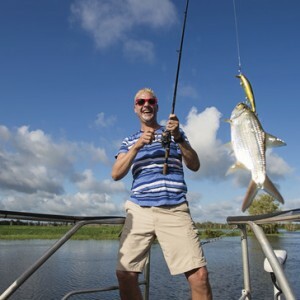 The friendly chefs at Yellow Water Resort will be happy to prepare and cook your catch for you. The charge is $20 and please note that this does not include any side orders.